If you’re looking for a tower painting company, turn to us at Shane Davis Tower Painting. Our founder, has been a professional painter for 35 years. The most requested and most respected tower painter in the continental United States! As a provider of professional tower painting services, we are committed to quality workmanship. At Shane Davis Tower Painting, we provide a number of different painting services, including spray painting tall towers, sandblasting, needle gun rust removal, and lead paint containment. Whatever tower painting job you present to us, we are confident that we can complete it with precision and efficiency. When we paint towers, we primarily use spray paint. However, we use proper protection during the painting process to ensure that dry dust fallout is kept to a minimum. This way, we decrease the chances of paint damage liability and are able to add streak-free, uniform coatings to your tower. Overall, our main goal will be to ensure a paint job that has long-lasting results. We will make sure that your tower painting project is completed with efficiency and precision. We are able to paint tall towers, towers on the rooftops of city buildings, towers in remote locations, and towers that are surrounded by other structures in an urban area. We are able to do this thanks to our commitment to quality workmanship and because our team members are highly skilled and experienced. When you turn to us for a quote on tower painting, we will make the process as easy on you as possible. In fact, we don’t even have to visit the site to provide you with an accurate estimate. All we will need is pictures of the tower and its surroundings and basic information about the tower you need us to paint. 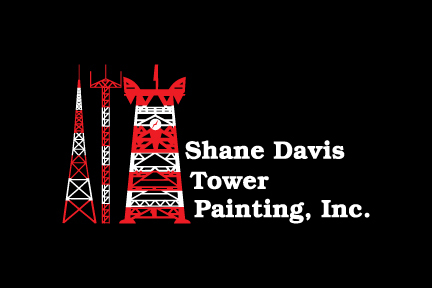 To find out more about what sets our tower painting services apart or how we can assist you with an upcoming project, contact us at Shane Davis Tower Painting today.